Having finalized our review of the Sony Xperia E, we’re ready to show you are battery test results from the single-SIM member of the Sony Xperia E family. 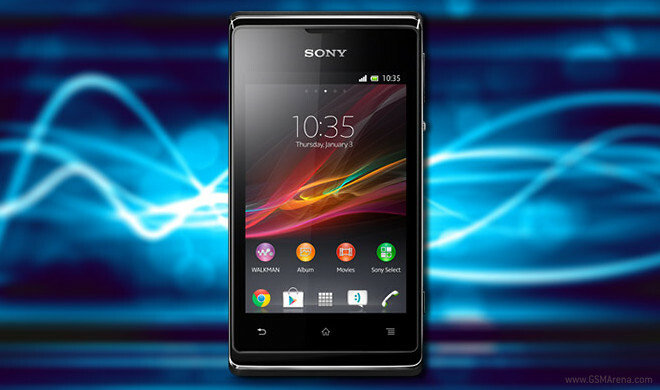 The Xperia E features virtually the same hardware as its dual-SIM counterpart – a 3.5-inch HVGA display, a 1 GHz single-core CPU, and a 1530 mAh battery. It does, however, run on Android 4.1 Jelly Bean and doesn’t have the extra SIM card to drain it. When it comes to 3G talk time, the Xperia E comes in right about the same as the E dual, at 6:40 of continuous talking, which is mediocre overall, but about as good as you can expect from that battery. In our web browsing test, the Xperia E lasted about as much as in the 3G talk time test. Strangely, the Jelly Bean optimizations have actually resulted in battery life shorter than on the ICS-powered Xperia E dual. Video playback was where we saw the more significant differences between the JB-powered Xperia E and its ICS-running dual-SIM sibling. The excellent 9 hours of video playback really give it a huge edge over the Xperia E dual. Our final endurance rating is a measurement of how often you’ll need to charge your device if you use it for one hour of each of the above activities per day. 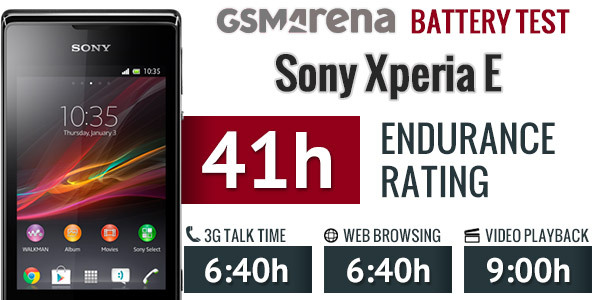 The Xperia E scored a respectable 41h hour endurance rating, handily beating out the 30 hours posted by the E dual. Not having to power an extra SIM card on standby really helps you keep that precious juice, and the Jelly Bean optimizations become truly significant when you’re watching videos.